Joker. Check his (old) website out to see how he did the modeling of the Joker's face. It is just too crazy. Too crazy and too amazing!. 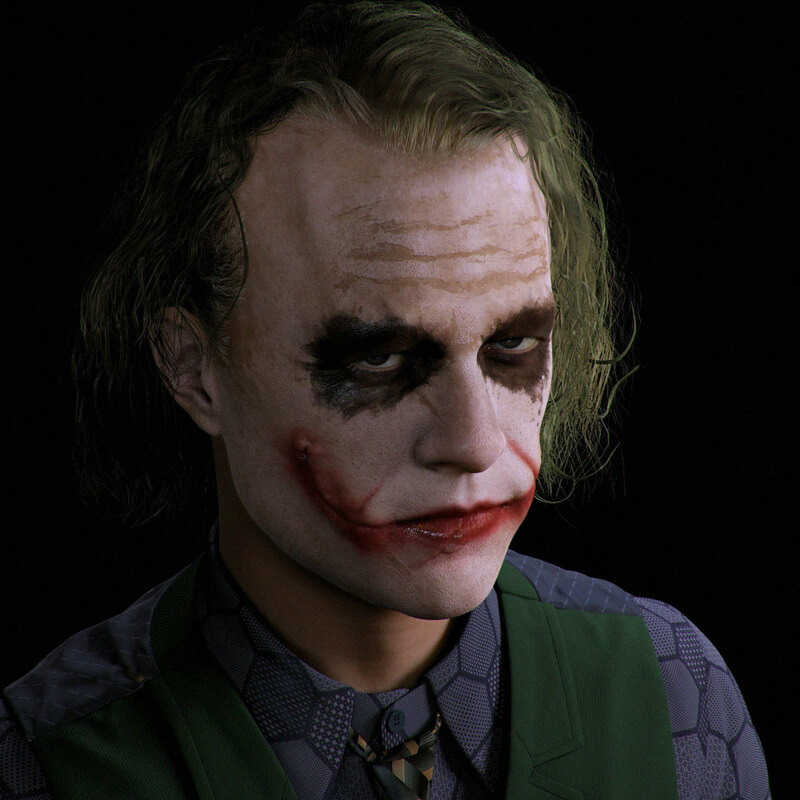 HD Wallpaper and background images in the Joker club tagged: the joker joker the dark knight heath ledger batman fanmade digital awesome portrait.